Black Peak Suite is Lime Tree Lodge’s premium luxury suite. 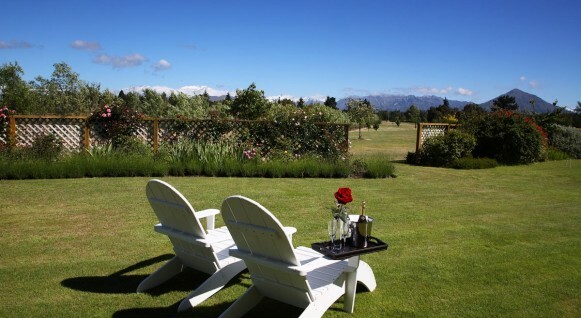 Its black-oak décor, leather furnishings, private lounge with log fire and garden terrace with sweeping 180 degree views towards the Southern Alps make this the perfect retreat for a well-deserved winter or summer break. 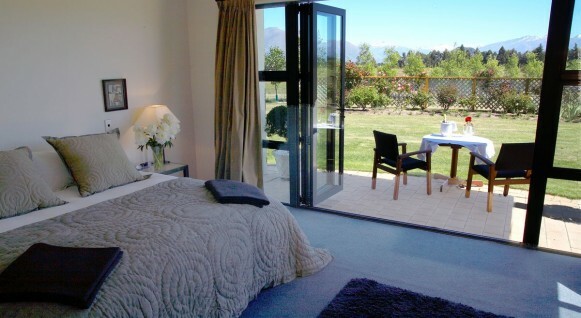 Pull back the French doors and enjoy a delicious, local wine while watching the sun set over Black Peak and the Southern Alps. 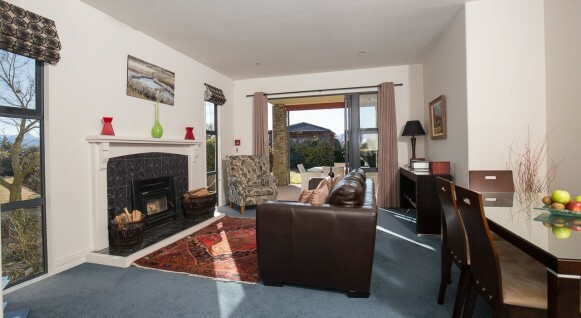 Black Peak Suite features a spacious master bedroom with a super-king or twin beds, an ensuite bathroom with bath and shower, a separate single bedroom suitable for one child (aged 12 years or over), a private open-plan lounge with a warming log fire, kitchenette and dining area. Black Peak Suite affords the greatest privacy from other guests and is the perfect luxury hideaway for honeymooners.